Do you dread going to work? If so, maybe it’s time to look at the other ways you can flex your legal skills, says Nancy Levit, co-author of The Happy Lawyer: Making a Good Life in the Law. 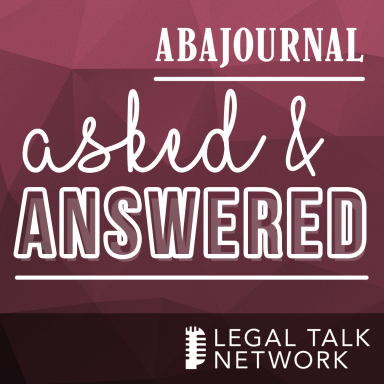 There are many types of jobs for lawyers, and sometimes what you thought you wanted to do doesn’t work out, Levit tells the ABA Journal’s Stephanie Francis Ward in this episode of Asked and Answered. She shares tips on how to find the work you want to do, and how to find joy in the work you’re already doing.